BaltCap Growth Fund (BGF) has signed an agreement to acquire 100 percent of shares in UAB Sveiki Produktai and UAB Bio Sala, two leading retail chains of organic products in Lithuania that operate under the trademarks Livinn and Biosala, respectively, informed LETA/BNS. The transaction is subject to competition clearance, BaltCap said. 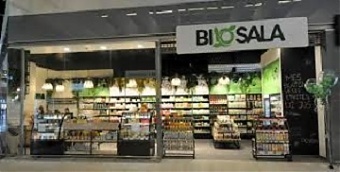 Livinn and Biosala are two retail chains of organic and healthy food and non-food products in Lithuania. Companies are offering specialized, carefully selected assortment, as well as professional in-store assistance about product specifics, such as nutritional value or allergens. Together, they sell products through 18 retail stores across largest towns and online shops. "Global, free-from and organic are some of the fastest growing sectors in food retail. Wellness-worried shoppers are increasingly looking for better availability of organically-sourced products and professional guidance. Founders of Livinn and Biosala developed strong and trusted retail brands. Today, we are proud to support both companies in their journey forward," Marius Miskinis, associate director of BaltCap Growth Fund, said. "Developing a company as a founder requires lots of dedication, creativity and constant enthusiasm, which at some point becomes insufficient to support further growth. A new business-oriented owner with financial backing enables growth, while our team's intrinsic values, such as focus on product purity, quality and environmental friendliness, will ensure that clients are happy going forward," Guoda Azguridiene, one of the founders of Livinn, said. The deal is the second investment by BaltCap Growth Fund. The fund was established by BaltCap in cooperation with the European Investment Fund through the Baltic Innovation Fund and with the investments from Baltic pension funds managed by Swedbank and Luminor. BGF is a continuation of the growth capital strategy for BaltCap with the first growth fund established in 2001. BaltCap is the largest buy-out, growth capital and private equity infrastructure investor in the Baltic states. BaltCap has a strong presence in all three Baltic countries with local offices and an experienced team. Since 1995, BaltCap has been managing several private equity funds with total capital of over 410 mln euros and has made more than 75 investments.